Young couple in love in evening dresses are dancing near love light letters. 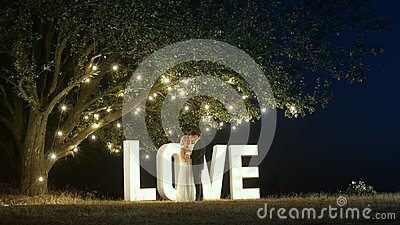 Luxury couple in evening dresses are dancing and hug on the nature near a big beautiful tree with vintage garland, near love light letters on the background. They hugging. In love.